This statistic illustrates the monthly number of approvals for remortgaging loans to individuals in the United Kingdom (UK) from October 2016 to October 2018. 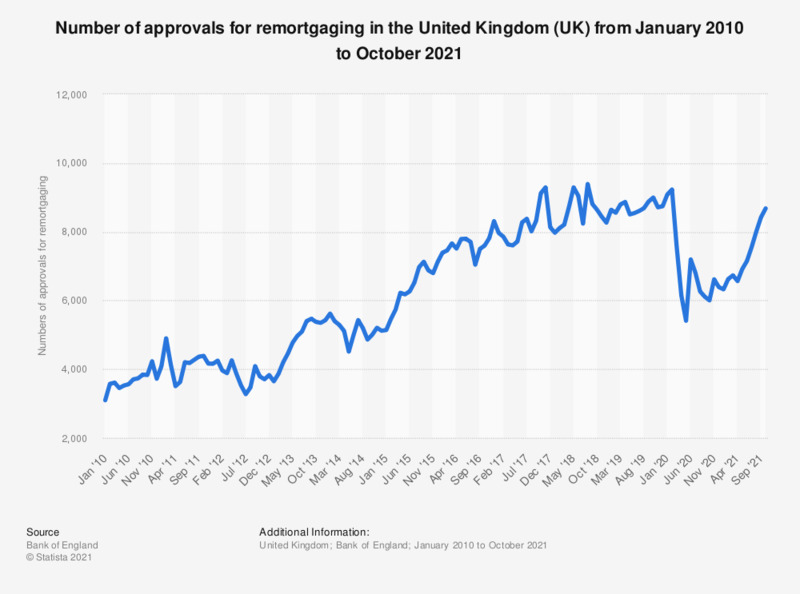 It can be seen that the number of remortgaging loan approvals fluctuated during the period under observation, reaching a total of approximately 49.3 thousand approvals as of October 2018. The largest number of loan approvals during this time period for remortgaging in one month was found in November 2017, when almost 53.8 thousand remortgaging loans were approved.